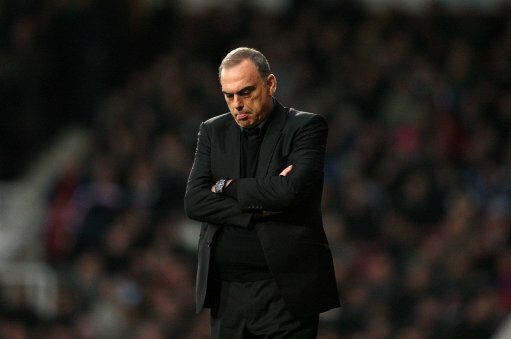 Those in the know (i.e BBC Sport) are suggesting that West Ham have handed their manager Avram Grant a ‘one-game’ ultimatum to save his job, meaning that if the Israeli doesn’t manage to garner a single victory from his next three games (Blackburn, Fulham and Everton) he will be jettisoned back into the managerial wilderness from whence he came. “[Sacking Grant if he fails to meet the terms of the ultimatum] would give the new manager a chance to make the changes he wanted (in January). “Dismissing Avram is not something the board wants to do. The club are aware that we were lucky to avoid relegation last season, and that Avram inherited a ‘Championship-rate’ squad. The Hammers are rooted at the foot of the Premier League table, having won one of their last 11 games, and are currently three points adrift of Wolves who lie in 19th place. The Beeb are also suggesting that, should Grant be canned before the end of the year, former Blackburn manager Sam Allardyce is almost bound to replace him at the Boleyn. I could have sworn that Grant had “three games to save his job” a month or two ago… ?